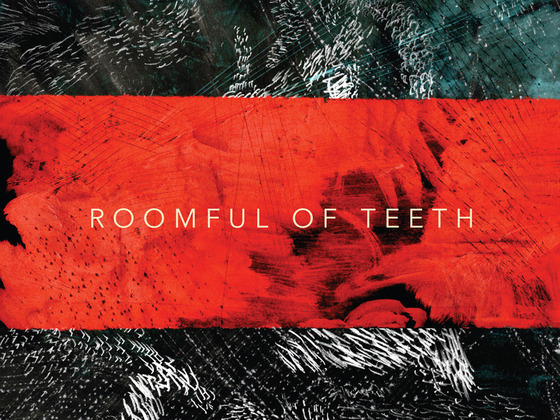 When you hear the name Roomful of Teeth what image comes to mind? Perhaps a brutal Swedish metal group invoking a pagan mosh. Or maybe a mid-70s Italian exploitation film filled with vampiric episodes. In Pee Wee’s Playhouse both guesses would be correct, however this is the realm of new music where esoterica thrives and fragment-sentenced band names reign supreme (yes you, …And You Will Know Us by the Trail of Dead). This entry was posted in Album Covers, Miscellany and tagged a cappella, extended technique, new music, vocal. Bookmark the permalink.